Yoga for Sailors Onboard is a practical guide for cruisers and liveaboards. Sailor and Yoga instructor, Kim Hess, shows you how to adapt traditional yoga postures, or asana, using various parts of the boat as props to create a yoga practice that works for your vessel. Some of the benefits of a regular yoga practice include increased strength and flexibility, restored energy, and harmony between the body and mind–benefits that all sailors, especially on longer voyages, will appreciate. 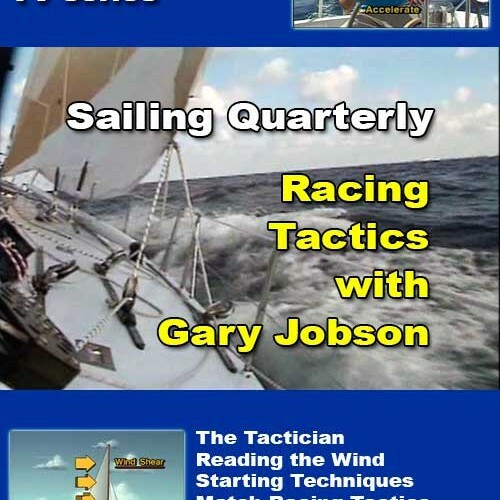 Click below for Download-Only, DVD or Book through TheSailingChannel Store. 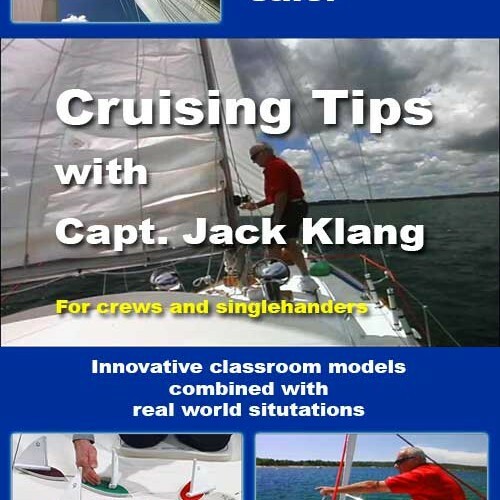 Yoga for Sailors Onboard is a practical guide for cruisers and liveaboards. Sailor and Yoga instructor, Kim Hess-Stone, shows you how to adapt traditional yoga postures, or asana, using various parts of the boat as props to create a yoga for sailors practice that works for your vessel. Some of the benefits of a regular yoga for sailors practice include increased strength and flexibility, restored energy, and harmony between the body and mind–benefits that all sailors, especially on longer voyages, will appreciate. In creating a yoga for sailors practice, Kim blends the various styles of yoga she has studied along with her sailing experiences to bring to life her own eclectic style of yoga; ones own body, the rhythm of the breath and adaptation are the foundation for a well rounded class accessible to all levels of yoga practice. She has been teaching full time since October 2004. Being raised in a small mountain community, Kim was given the opportunity to experience the closeness that comes with a small town atmosphere. This feeling continues into her life today with the people she meets immediately becoming a part of her extended family. Physically active all of her life, Kim grew up skiing, both on the water and on snow. She began formally practicing, studying and teaching yoga during the winter of 1999 while living in Sayulita, Nayarit, Mexico. Returning to her hometown in Idaho in 2000 she continued teaching while her self study grew. In 2003 she completed a yoga teacher training in Miami Beach with Synergy Center for Yoga & the Healing Arts receiving her certification under a Yoga Alliance Registered School. Her studies include Iyengar, Ashtanga, Bikram and Sivananda as well as Pranayama, Sanskrit, partner; pre-natal yoga and yoga philosophy. While she has studied with some note worthy teachers, she continues to believe that her greatest teachers are her students. Kim runs Tropic Yoga inspiring others to live healthy, conscious and playful lives! Kim and husband, noted sailing song composer and performer, Eric Stone, operate the Dock Bar at Marathon in the Florida Keyes. They also run charter cruises featuring meditation and daily yoga as part of a week-long sailing adventure that includes snorkeling, kayaking, nutritious meals, and inspiring discussions about life and nature. Yoga Onboard is a beautifully illustrated practical guide that offers creative alternatives to adapting traditional yoga postures to your vessel. Using various parts of the boat as props, Kim demonstrates how easy it is to create a yoga practice that works for your boat. Available in hard copy or as a digital book. Special combo price for Yoga Onboard Video Download and Digital Guide Book.